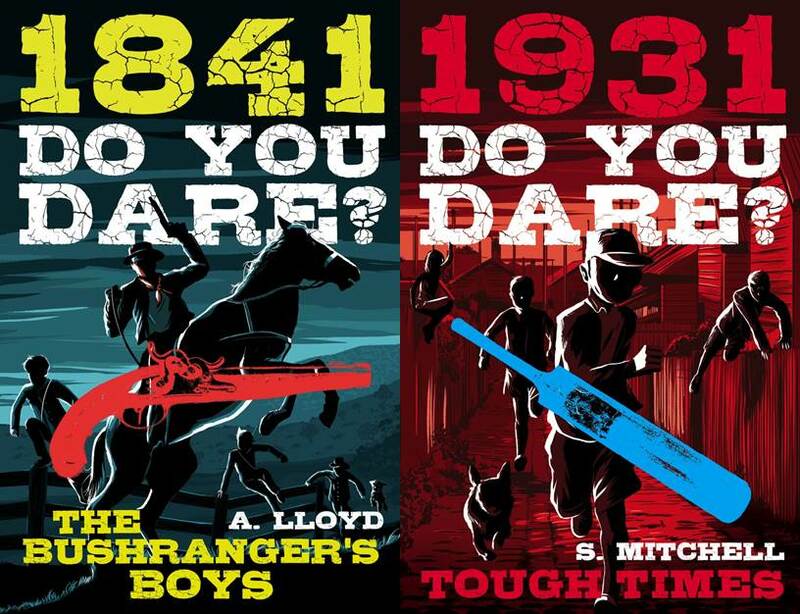 The Bushranger’s Boys is part of a historical fiction series aimed at 8-12 year old boys. The series picks a particular year and weaves a story through real historical events of that year. In the first, Alison Lloyd has woven a story around the real life bushranger and escaped convict William Westwood (alias Jackey Jackey). Her story captures the brutality of life in 1841 through the eyes of two young boys, Alfie and Jem, who confront the issues of loyalty, bullying, honesty, friendship and courage. The story is fast paced as Alfie and Jem negotiate their relationship with each other, their brutal employer and the bushranger William Westwood. Along the way readers are given a glimpse of what life was like in 1841. It is an engaging and entertaining book for young readers, and although the target audience is boys, girls will enjoy this adventure in history as well. In Tough Times, Simon Mitchell has woven a wonderful story around Phar Lap and the Melbourne Cup, Macpherson Robertson who owned a sweet factory in Melbourne, the Depression and backyard cricket! The story follows the journey of Tom Parker who sets himself the task of saving his family from eviction when his father loses his job. Along the way Tom confronts bullies, financial hardship and prejudice in a story that is a page-turner. Tom’s determination and never-say-die attitude is uplifting, as is his loyalty to his family. Mitchell also manages to capture both the desperation and fighting spirit of the people who lived through the Depression in a thought-provoking way. This is a highly recommended book for boys and girls.